A recent study done by AAA regarding fatal automobile collisions found that although most drivers worry about being in a fatal accident involving another driver—usually a head-on collision—in fact, most lethal accidents are solo crashes involving only one car. Most adult drivers (96 percent) fear they will be hit by a driver running a red light, a driver who is driving the wrong way, or by a distracted driver, yet over half of all fatal traffic collisions across the nation involve only a single vehicle. In a single-vehicle crash, the vehicle could rollover, or leave the roadway, or the driver could hit a fixed object, such as a tree. Single-vehicle crashes could also involve a pedestrian or cyclist. About 70 percent of all fatal single-vehicle crashes are “run off the road” accidents, meaning the car crosses the centerline or the sideline. Although only about three percent of all single-vehicle crashes involve a rollover, these rollovers cause about one-fifth of all the fatalities in single-vehicle crashes. While any car collision can be frightening, anxiety-inducing, financially draining, and even embarrassing, all these are likely to be magnified when the accident involves only one vehicle. After all, it is much easier to tell others that someone who was distracted or driving carelessly ran in to you, but much harder to tell them that you drove off the road and hit a telephone pole. In other words, if no other driver is involved, then it will likely be assumed the crash was your fault, even if it was due to adverse weather conditions, or an animal which unexpectedly ran in front of you. Further, given that only one vehicle—yours—is involved, the law, as well as your insurance company, will generally assume you were at fault, as you were the person in the best position to avoid the accident. Single vehicle accidents can be the result of the acts—or inactions—of others. As an example, defective brakes or a defective tire can cause an accident, as can road defects or obstacles in the roadway. If you can definitively show that another person or entity was at least partially responsible for the conditions which led to your accident, you may be able to shift the liability to that third party. In some cases, you may not only face liability issues after your single-vehicle accident, you could also face criminal charges. While receiving a traffic ticket is almost a given in a single-vehicle accident, you could also face charges for driving under the influence, or reckless driving, depending on the circumstances. If you are arrested for DUI or given a citation for reckless or careless driving, it can be extremely beneficial for you to contact a Colorado Springs car accident attorney who can look at the circumstances surrounding your accident, and help you determine the best course of action. You definitely do not want to face this issue alone, as you could end up with much higher insurance rates, not to mention having to pay a ticket and have that ticket go on your driving record. 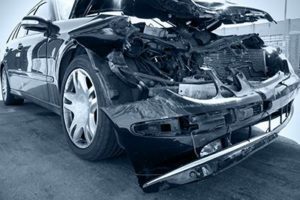 Do not wait long after a single-car crash—contact an experienced Colorado Springs car accident attorney as quickly as possible. If you or someone you love has been injured in a car accident in Colorado Springs, Peyton, Black Forest, or anywhere in the state of Colorado, we can help. Don’t delay. Contact the Green Law Firm today to begin building your case. Contact the experienced car accident attorneys at the Green Law Firm today to schedule a no-obligation consultation and discuss your case. Call us today at 1-719-694-8515.